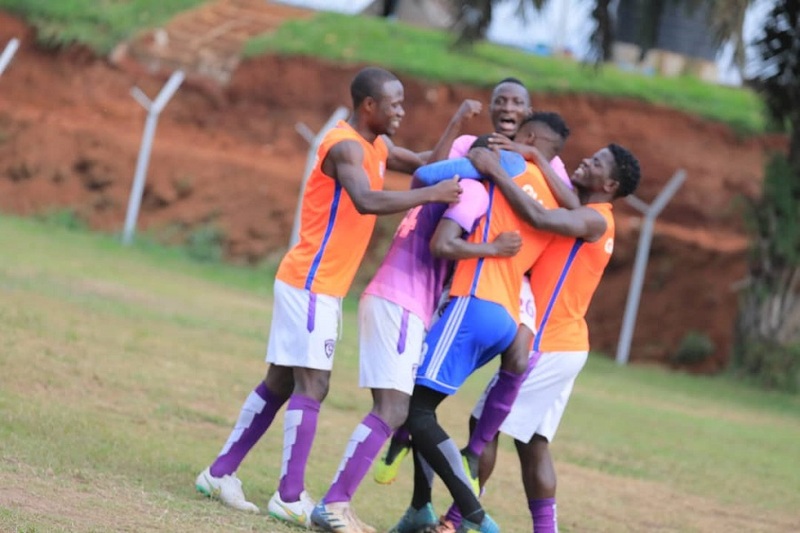 KAMPALA – A Titanic battle highlights the FUFA Big Leagu action on Thursday as Wakiso Giants host Dove All Stars at the Bugembe Stadium in Jinja. Wakiso are currently leading the standings in the Elgon Group, only a single point above their Thursday’s opponents and both sides will head into the encounter knowing that there is no room for error. In their maiden season, Wakiso have been impressive so far, being the only unbeaten side in the entire League (both Elgon and Rwenzori Groups) and they know what a massive result it would be if they can take care of their closest challengers to top spot. “Every game we have played and have to play is very important but this one is more important, said Wakiso head coach Ibrahim Kirya ahead of the game. “A win will put us four points clear at the summit and that’s the target. Wakiso will be boosted by the return to fitness of both Isaac Ntege and Clinton Komugisha. Ntege last feature in the 1-1 draw away to Kyetume will Kamugisha limped off with a knock in the 2-1 win against Entebbe last time out. For the Arua based Dove All Stars, their primary target would be to avoid defeat against Wakiso especially due to the fact that they are playing the chasing role and are away from home. However, with the likes of Godfrey Ssekyewa, Edema, Ollu and Aniku, they will know that they have enough fire power to inflict desired damage on Kirya’s side. Elsewhere in the Elgon Group, Alex Isabirye’s Kyetume will be eyeing all three points when they play host to Allan Kabonge’s Entebbe at the Nakisunga Playgrounds in Mukono. Kyetume needed a slim 1-0 win over Nebbi Central – thanks to Ibrahim Kazindula’s late strike to jump to third place with 15 points, four shy of the leaders. The win against Nebbi was their 4th from 9 games, a fate that can be described as impressive given the situation they started the season in. For Kabonge and his soldiers, they have been unconvincing all season and they currently occupy 7th spot with only 8 points, having managed a single victory. In the other matches, UPDF plays Nebbi Central in Bombo while Bukedea Town Council will entertains Amuka Bright Stars at the Emokori playground. Meanwhile, in the Rwenzori group, it is the same scenario at the top as in the Elgon group. Table leaders Proline play host to Kabale Sharp at Lugogo as second placed Kiboga Young is away to Kira United at Namboole. Both Proline and Kiboga Young have identical results from their first 9 games, winning 6, drawn 2 and lost once. They currently have 20 points each with Proline on top of the standings by virtual of a better goal difference. In their last games, Proline was held by Kansai Plascon to a one all draw in Mukono as Kiboga Young fell 1-0 at home to Dove. The other Rwenzori Group game will see Dove host Kansai Plascon at the Katushabe Play ground in Masindi.